Beautiful Shot! I traveled through that area on VIA Rail's Canadian but it was at night. Of course I've gone through there by car quite a few times. This is why I choose to take my Montana rail trips aboard the Empire Builder during full moon. 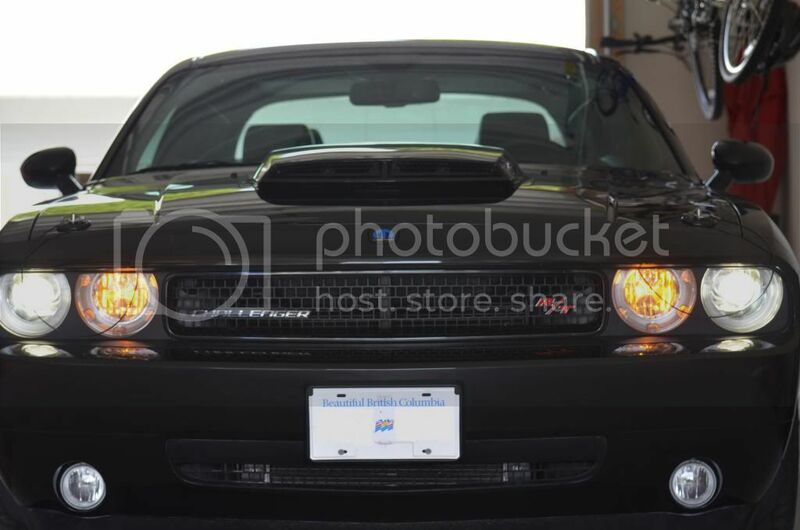 I can see more at night that way. Great photo!! It's a shame that VIA goes through the Canyon in the dark, it's got amazing scenery, IMHO better scenery than the Yellowhead Pass. Even in November the Thompson country is great for train watching! Cool pics Wet Coast... I love seeing pictures of trains from the inside the canyon. Thanks for posting them. Nice pictures from the canyon Wet Coast. It's a beautiful stretch of rail, I only wish I could get more runs to Boston Bar. Road trains are very senior jobs(East Freight pool), in fact the junior man on the road pool has 20 years seniority. 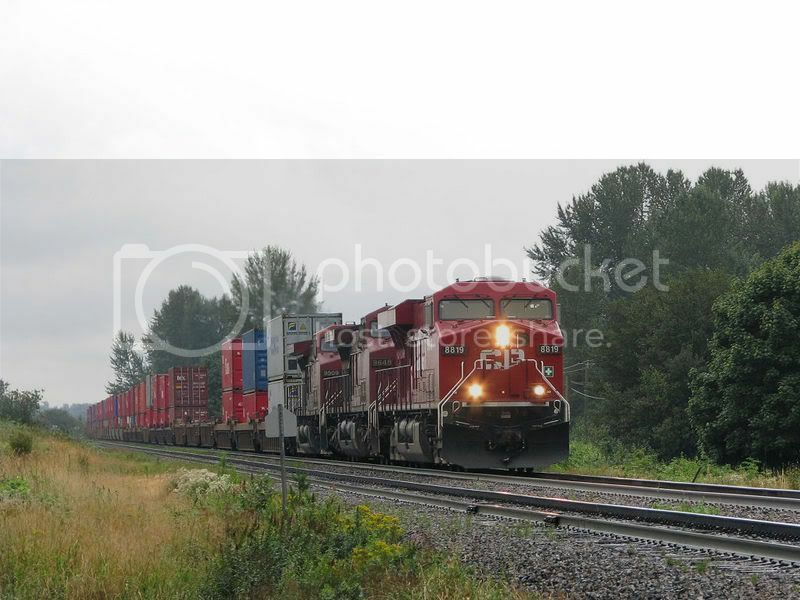 Here are some pictures of a CP freight train and the Westcoast express. 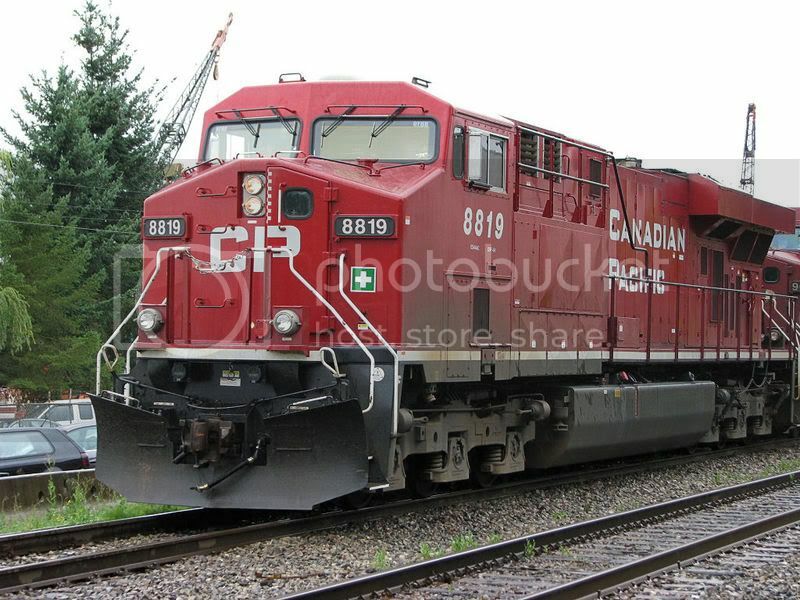 A CP freight is coming through Albion. Here it is in the crossing. By the way this train was going at 100km. an hour. I chased it from Silverdale and barely caught it. The Westcoast express ready for action tomorrow morning. A close up of the cab. 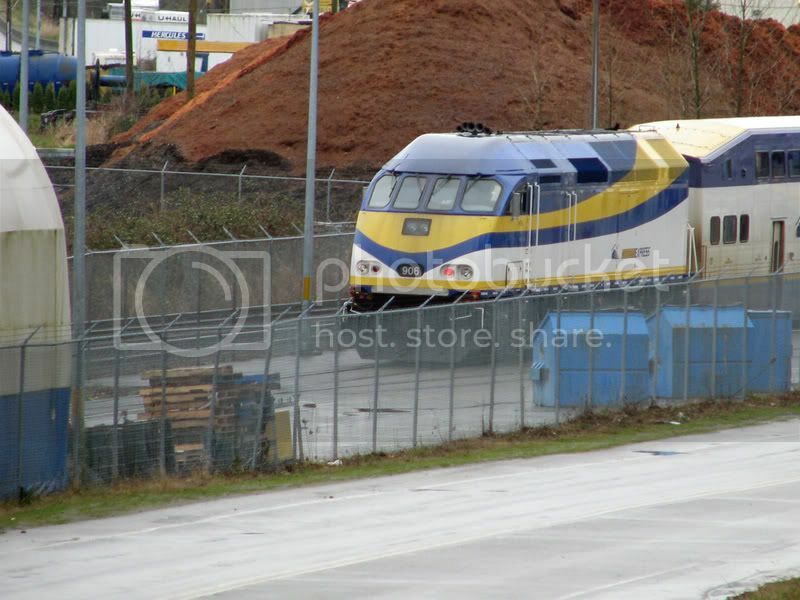 I was out train chasing a few days ago and got some pictures of an inter model train. The consist was an ES44AC, followed by two AC4400's and another one on the back. I can't remember whether it was an ES or a 4400. Sitting at Albion waiting for another inter model to pass. Passing by but he hadn't turn on the ditch lights yet. 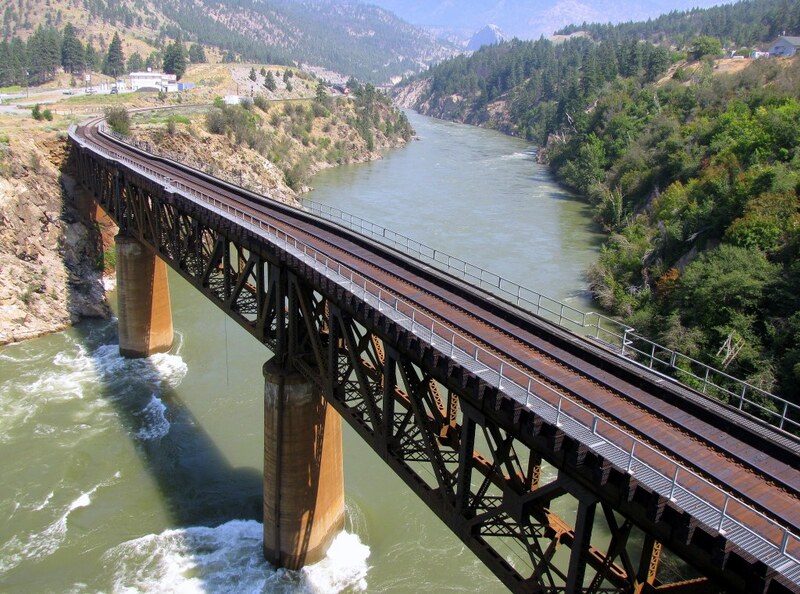 Fire erupts on rail bridge in B.C. 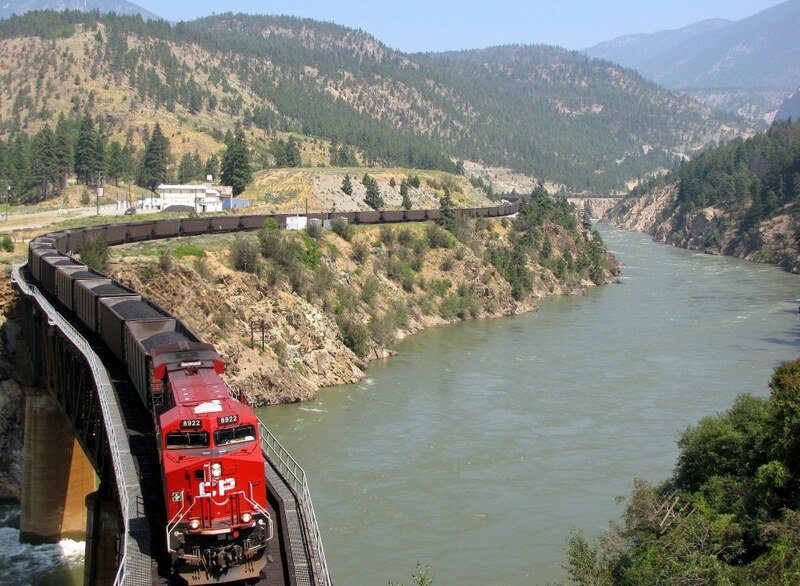 Bad news again for our rail mainlines through the Fraser Canyon. A serious fire has damaged the deck of CN's bridge at Cisco, meaning that CN & CP traffic will all have to be routed over CP's tracks. I'm loving all these CN photos! 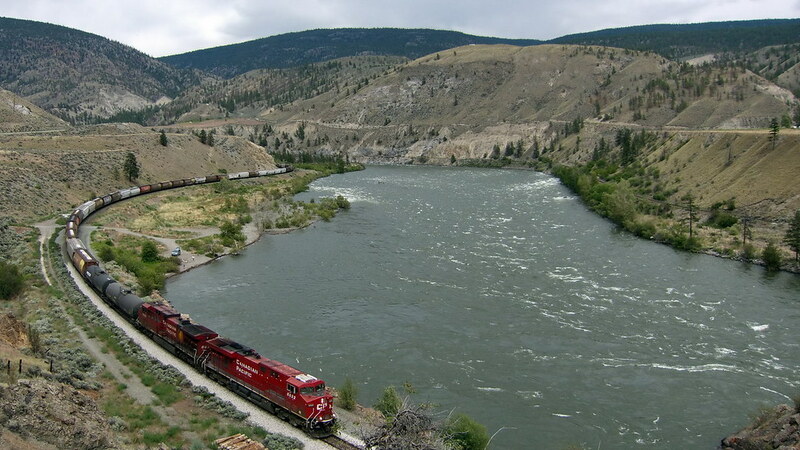 I became a Canadian National railfan after driving through the Fraser and Thompson River Valleys for my first time back in 1996. I'm from Pennsylvania. 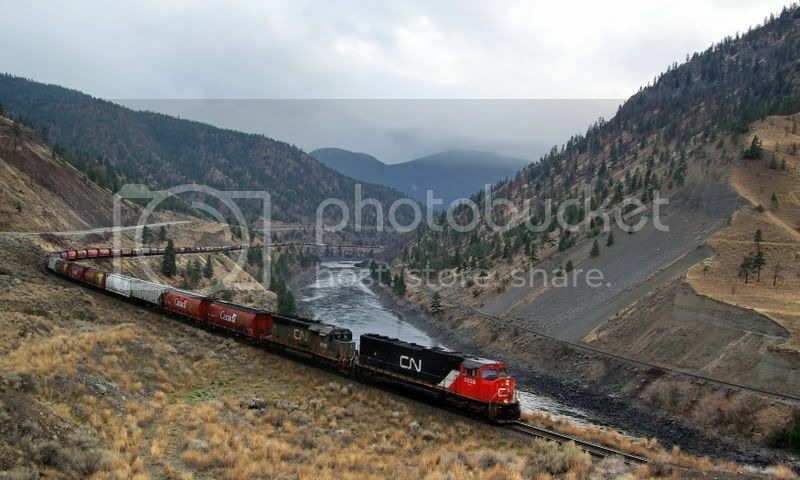 Awesome how the CN & CP hang on to each side of the valley, then switch sides at Siska. Since I like to photograph suspension bridges, while I was in the area in 2003 I took these photos of the swinging suspension footbridge that allows CN employees access to their tunnels just north of Goldpan Provincial Park northest of Lytton. 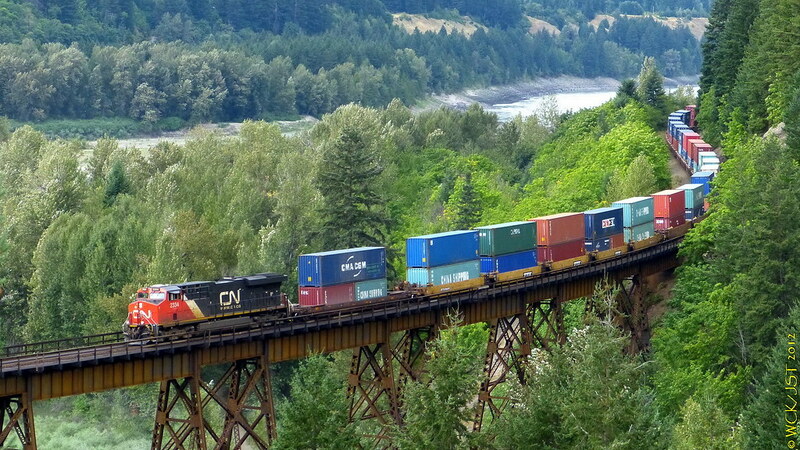 A CN freight waiting to use the Fraser River Bridge, near the Braid SkyTrain station. 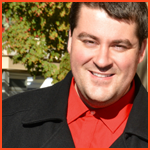 We were up in Kamloops last weekend, to visit my sisters. As usual, I had to go one way via Highway 1 as I find that drive so much more interesting than the alternative. 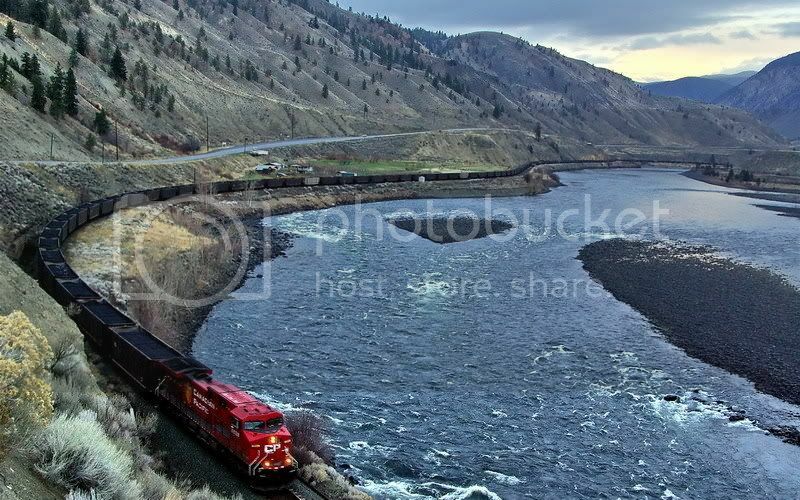 We stopped for 90 minutes or so at Skihist PP on the way home and got some train shots from across the river. During our time there, two CP trains passed headed westbound. I assume trains headed east use one side and trains heded west use the other, whether they're CP or CN. Good thing we went last weekend and not this one, as the train traffic will probably be a lot lighter this coming weekend due to the strike. 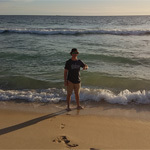 Nice pics John. You are right about train direction. 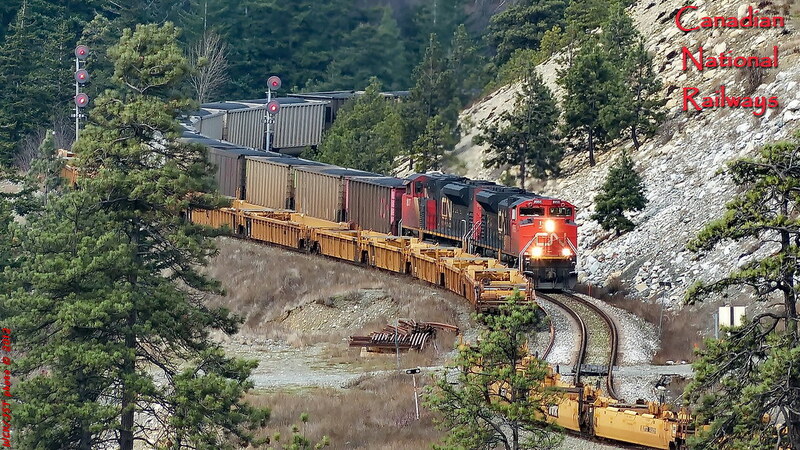 The Thompson & Fraser canyons west of Ashcroft (Basque Junction to be precise) are 'co-production territory' meaning most westbound trains of both companies are on CN's tracks, and east bound are on CP's. With the CP strike I would assume that there will be little if any traffic moving over CP's tracks as their RTC's (Rail Traffic Controllers, aka dispatchers) are also on strike. That would mean CN's east & westbound opposing trains moving over CN's tracks only. 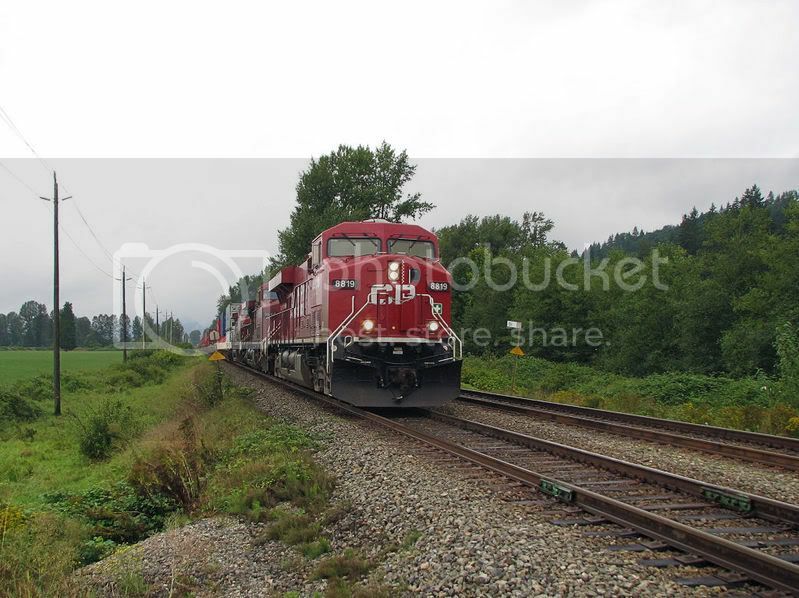 Canadian Pacific west bound grain train @ Martel on CN's Ashcroft Subdivision just a few kilometres east of Spences Bridge, BC - 3 June 2012. CP's Thompson Subdivision is visible on far bank of river. 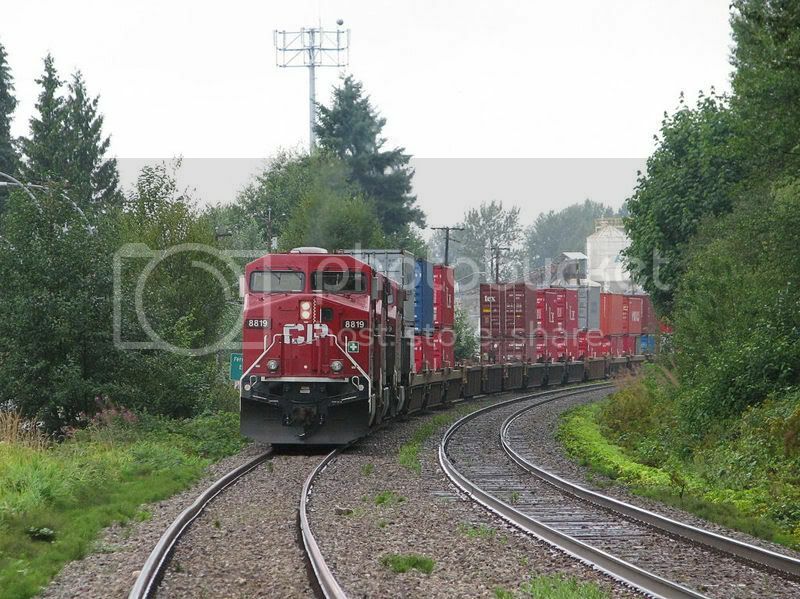 This is in CP-CN 'co-production territory' where most trains of both companies move west over CN's tracks and east on CP's tracks. How is it that trains and good tempo piano/sax jazz go together? Tenor Saxophone jazz legend "John Coltrane". ie. 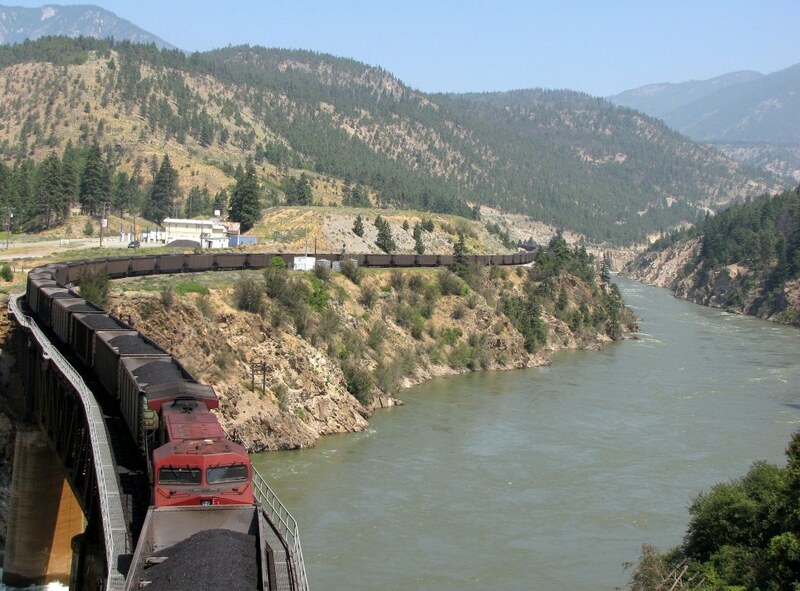 coal-train. 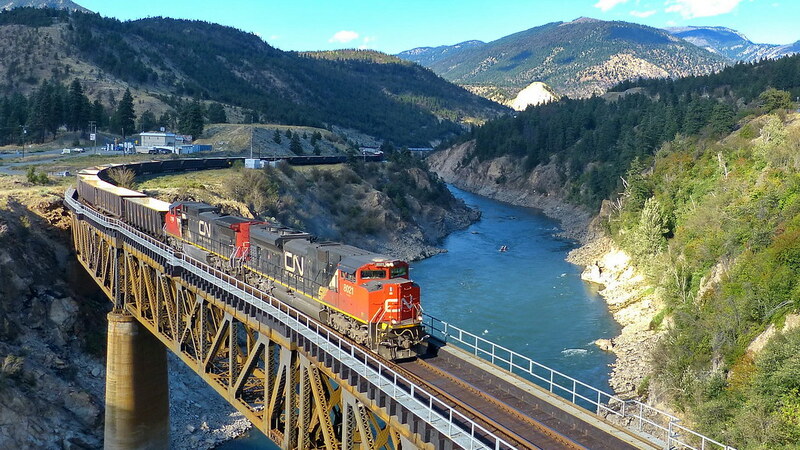 CN south (west) bound mixed freight on Thompson River bridge at Lytton, BC - 1 September 2012. (Mr. Horn was at this same bridge taking train pics back in July...). This train was a very long one with a third locomotive about 2 km back from the head end. 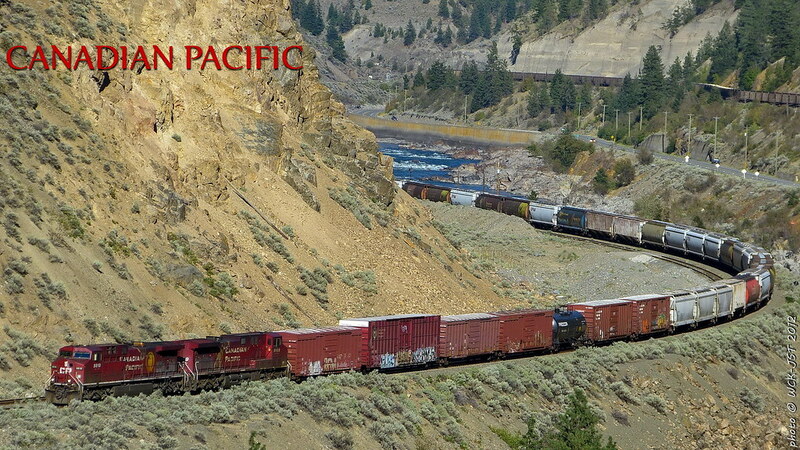 Much of the freight on this train was forest products originating from north-central BC. Such freight used to be moved south over what was the BCR. :)talking about the not much movement, how about the little railroad that could? 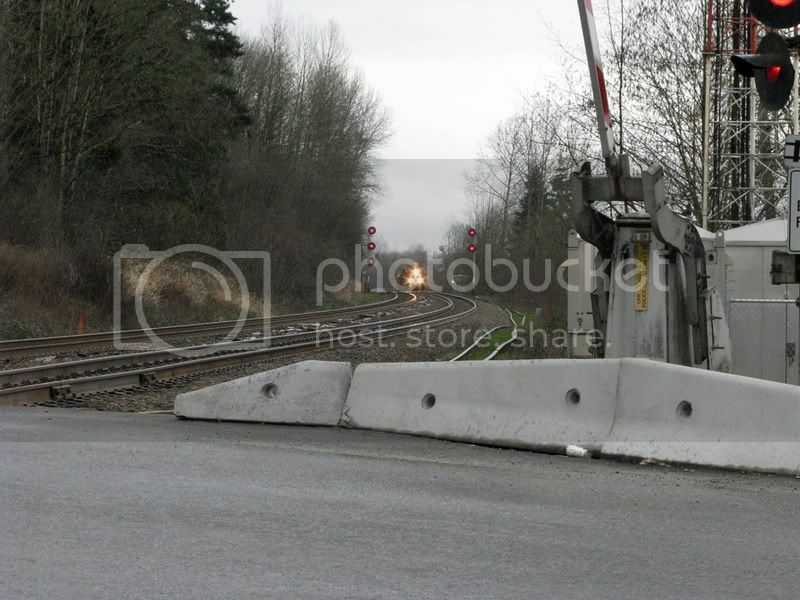 referring the the trunk of BC rail / roberts bank subdivision, that ran the magical port piece to nowhere section, that was a real pricey pork barrel sallery for someone in Falcon's world maybe a toy railroad for the poster boy for Jenny Craig! mrdot. 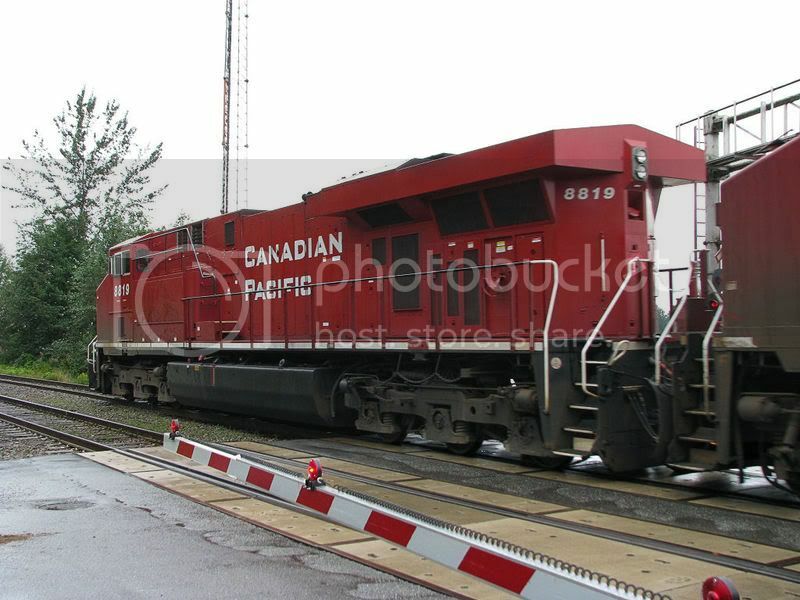 CP's O Yard switcher idling on the engine spur. 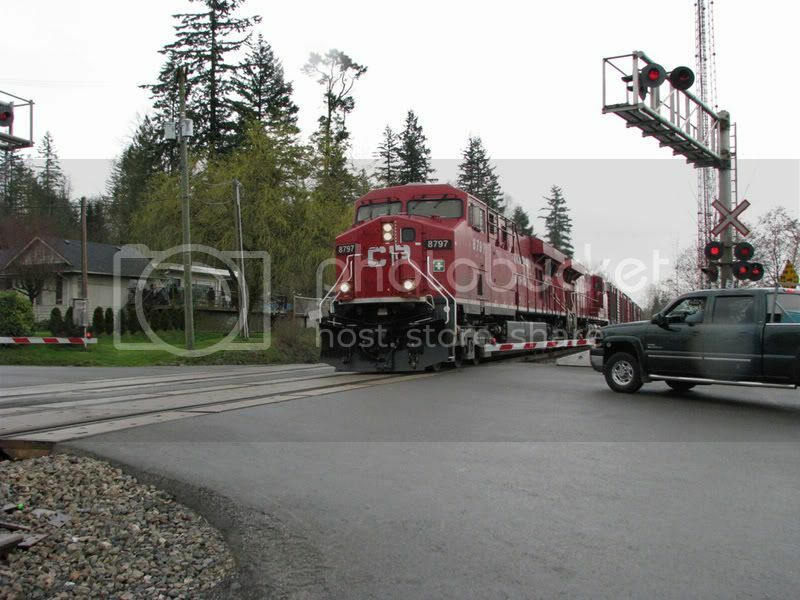 Funny I drove by this exact same spot on Kent st and saw that locomotive today also. On Thursday CP had a few guys working in a bucket truck on the cable that is there. 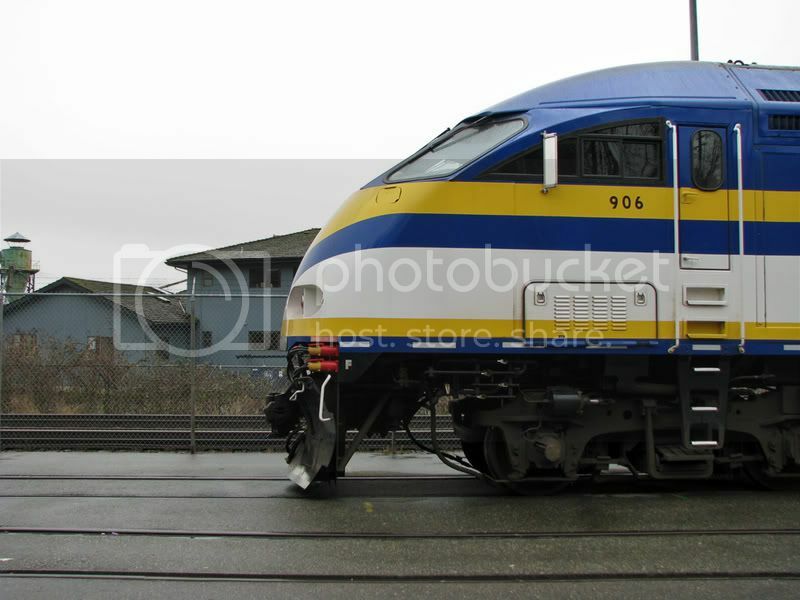 As I mentioned elsewhere a little while ago, my enthusiasm for trains has been tempered recently, as I've started working with a company located within the Port of Vancouver lands. It's a good thing that there are laws about how long train operators are allowed to block crossings on public roads, because if they had their own way (as they seem to do within the Port) there would be traffic chaos. My most recent example would be this morning heading to work. I would have arrived about 20 minutes early as I usually do "just in case I get stuck at a train crossing". Instead, I was 20 minutes late. A train bringing containers into the container terminal blocked Commissioner street for over 40 minutes, during the height of rush hour. For drivers, it's possible to do a u-turn and exit the port at Knight or McGill and drive to the other one (at that time of day, that would take about 20-25 minutes), but for people on foot, as I was, that's obviously not an option. When you consider all the people who are late for work and all the truck traffic that is held up for that long, it adds up to quite an "economic impact". Thankfully the Port is planning on making improvements to the road so this happens less often. Are train operators so busy that they have to block traffic for that long? I see engines sitting around all the time doing nothing - they don't seem that busy. It would only take them an extra 5-10 minutes to completely pull out of the terminal during their several switches to let traffic pass by. To me it seems the train companies and operators have free reign on the waterfront and don't care at all who they inconvenience. John, I think your assessment of the railways' attitudes toward other users of railway crossings is correct. They really don't care. It is rather unfortunate as making a bit of an effort to accommodate others would not have much of an impact on their operations and the 'good will' would go a long ways.